Looking for some tasty food, coupled with great live entertainment? 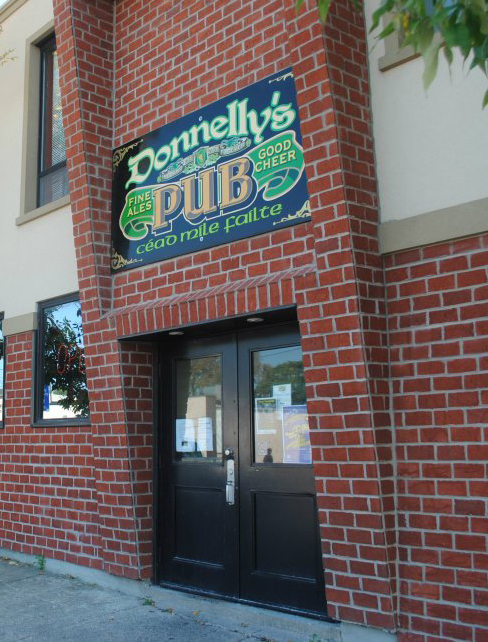 Head on down to Donnelly’s Pub, otherwise known as Thorold’s “House of Blues.” It’s where great food sets the stage for amazing live blues music. From our daily food and drink specials to the authentic vocal stylings of The Brant Parker Blues Band, you’ll always be entertained, comfortable, happy and well fed! We regularly house events on behalf of the Canal Bank Shuffle, as well as participate in their annual 4 Day Blues Festival. We also organize music events to fundraise for Community Care in Thorold and are a proud supporter of the Thorold Community Theatre. We are strong believers that great music and friendly faces are what truly feeds the soul, so come on in and let us feed you in every way – 6 days a week!